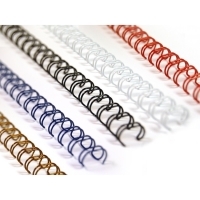 The Swingline GBC W15 Wire Bind Machine is an easy to use 3:1 pitch wire punch and closer. Featuring easy to use controls and a compact size, the W15 is great for the office or on the go. 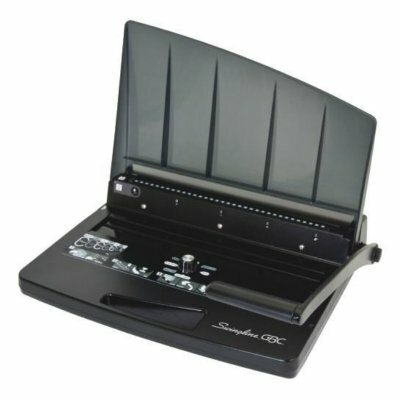 Simply punch up to 15 sheets at a time, then bind any book up to 135 sheets thick with the built-in wire closer. The 3:1 pitch (3 holes punched per inch) ensures a professional look and keeps pages from coming loose. 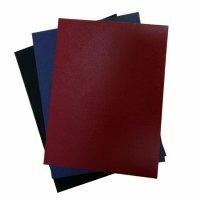 Need to bind on the go? Take it with you using the integrated carry handle to be able to produce reports in seconds. The QuickStep graphics show how to use the machine, making operation a breeze for beginners and experts alike. Whether you would like to bind at home, the office, or on the road, you'll find the W15 to be a great solution for making professional looking books, presentations, and much more.